Edwards.CH, 2012, Dis-similar, Recycled Fireman Uniforms, Black Paint, 2m x 0.9m, Exhibited at: MaHKU as part of Master my Thesis Presentation, Utrecht, The Netherlands, 2012. 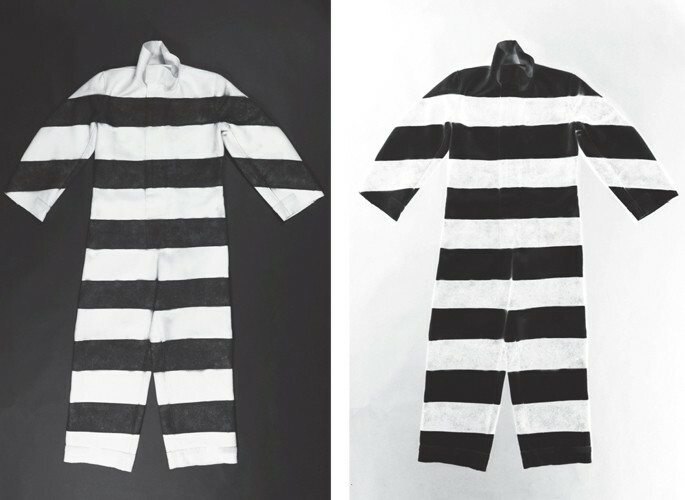 Renaissance uniforms and also visible in the history of prisoner garments. to break it down to the verbal meaning it portrays.